With the help of the St. Louis area’s largest employers, local foundations, and individual support, STEMpact is making a long-term impact on thousands of St. Louis area students and building a stronger future for our region. In Missouri, did you know that 3 out of 4 of the fastest growing occupations will be in STEM careers? 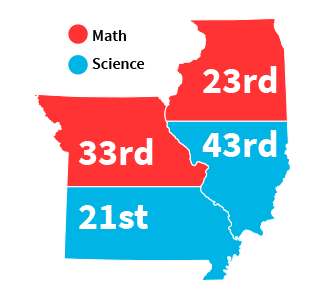 However, Missouri ranks 33rd and 21st, and Illinois ranks 23rd and 43rd for math and science nationally with significant gaps in STEM proficiency. We want to change these numbers, so students are prepared to successfully compete for STEM careers when they are ready to enter the job market. That’s why closing the education gaps for students must be a first step we take right now when planning the future of the St. Louis region. The answer is to engage all area students in high-quality STEM education. Today, STEMpact programs have reached over 27,000 students, more than 800 area teachers, and over 30 districts in our region. 100% of STEM TQ participants say they are implementing Institute strategies into their teaching. Students who learn in STEMpact classrooms perform better on standardized math and science tests than those who learn in non-STEMpact classrooms. Students in STEMpact classrooms experience marked growth in seeing STEM in their community, valuing STEM in society, awareness of STEM careers, and self-identifying as STEM-capable learners and problem-solvers. A STEM-prepared teacher can reach thousands of students during their career, making an impact on future generations. It's a win-win for everyone in our community! STEMpact is the response to this demand. Our programs transform STEM education and provide the essential resources and support for teachers, leading educators, schools, and districts as they prepare for long-term success in STEM education. 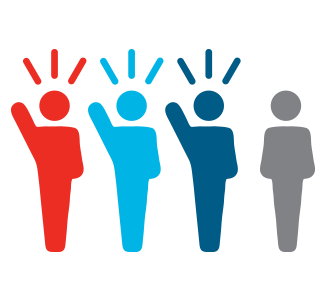 We invite you to get involved and help us make a difference. Together, we can make make sure that students in grades K-12 are prepared for pursuing higher education and entering the STEM workforce.